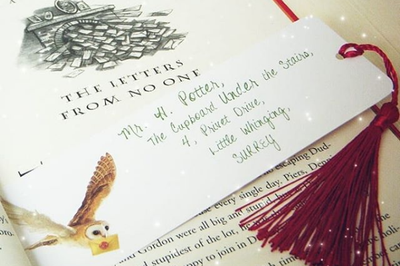 Enter your email address below to receive a notification when Wicks + Words starts accepting new sign-ups! Enter your email address below to receive a notification when Wicks + Words is accepting new sign-ups again. 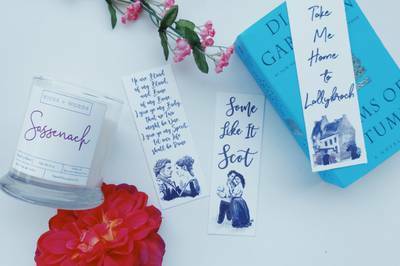 Introducing our monthly Story Box series! 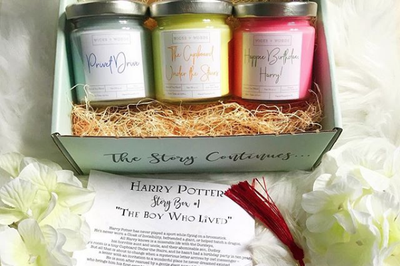 Each month, we will offer a new candle box that tells the next part of the story of some of your favorite fandoms ❤️ Boxes will also include one or two extra little surprises each month! 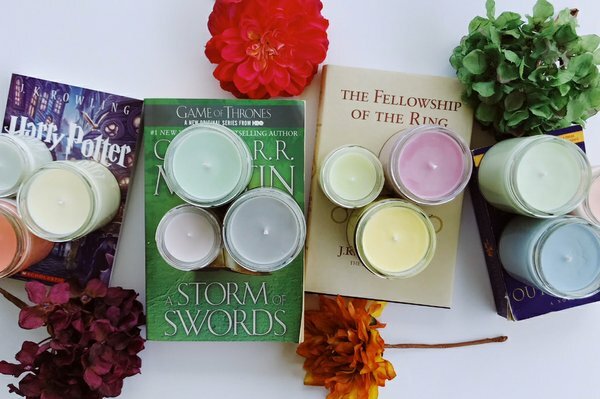 Choose between Outlander, Game of Thrones, Lord of the Rings, and Harry Potter inspired boxes! 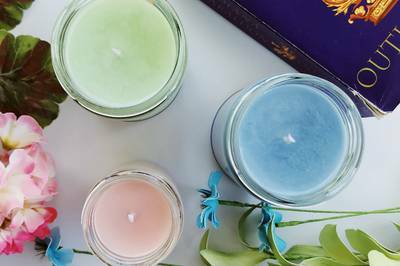 Limited Edition Candles in every box! One or two extra little goodies included every month! I wanted to love this. I tried to love this. And I came so, so close to loving this. 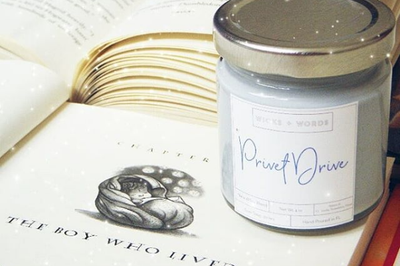 The little gifts were fun (a pair of socks, a tin of tea), and the candle names were fantastic (Fluffy, Privet Drive, etc). And the packaging? The packaging is amazing! 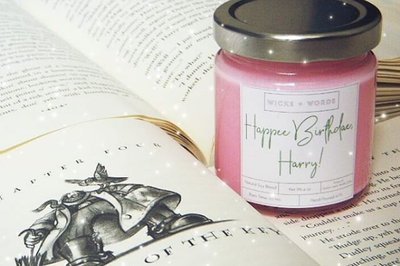 The candles come in a little silk bag and the entire thing looks like something straight out of Harry Potter. Where this fell a little short? 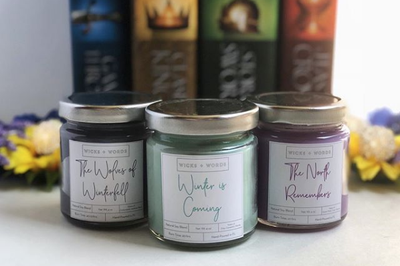 The candle scents just weren't there. The candles smell amazing in the jar, but when lit the scent doesn't carry at all. We have a fairly small living room and I couldn't smell it when it was lit. If the candles were stronger, I would love this subscription. As is, I just really like it. This box made a great gift! 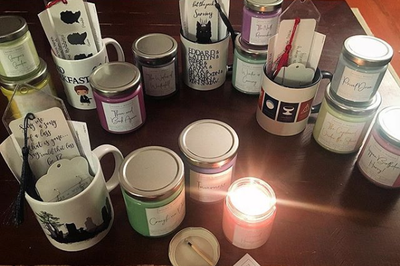 It was beautifully packaged and included several candles, plus a hand-stamped cuff bracelet and story card.